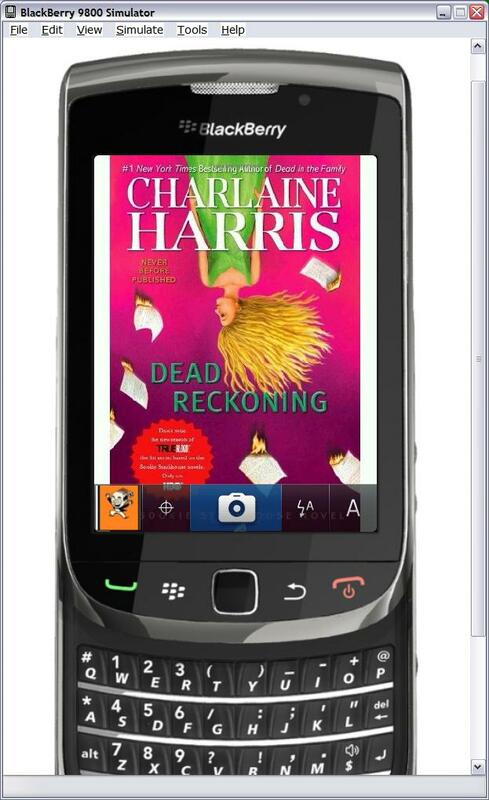 See the Smartphone App page for related discussion. 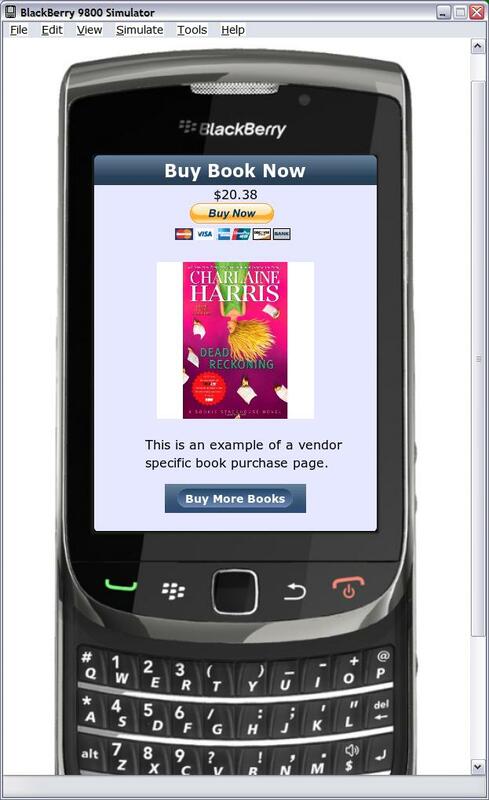 These are screenshots of my prototype Buy Books App running on the BlackBerry Torch smartphone simulator. 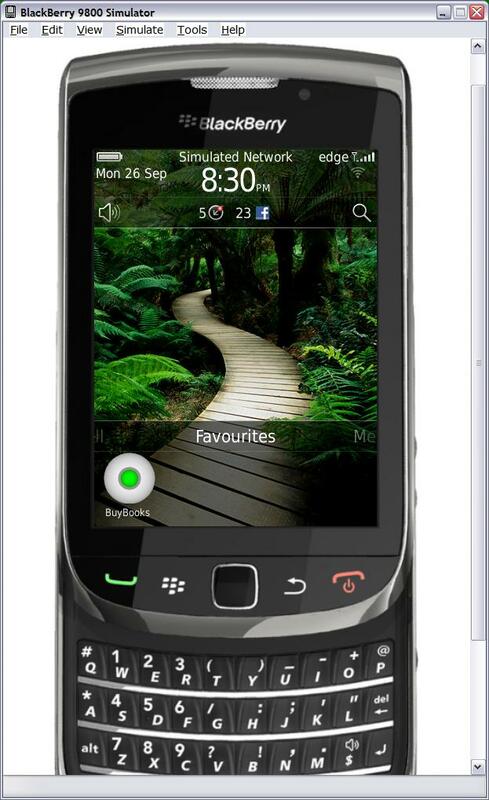 The first screen is the front-page of my app. 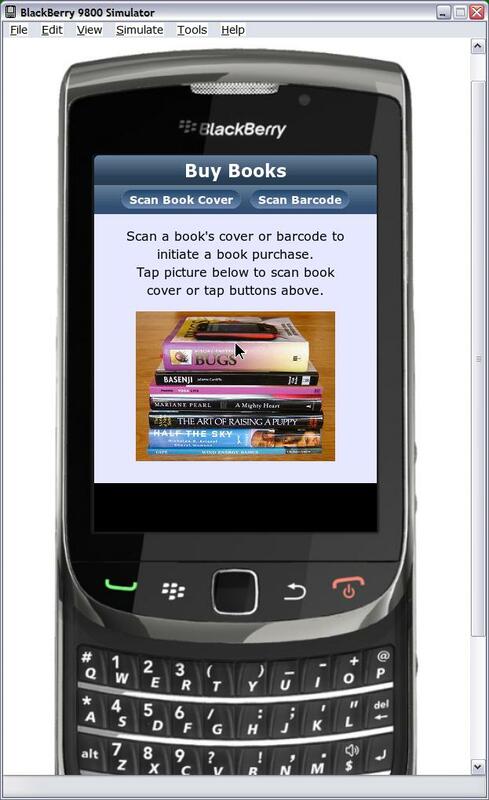 Upon selecting the Scan Book Cover button, the second screen is presented to operate the smartphone camera to take a picture of a book cover which is then picture-matched to present the book purchase offer to the user via the third screen.